Chances are if you are reading this you are seeking some motivation to keep moving forward with your own personal journey, and you are only human if you have pondered the question – “Have I Left it too late to turn my dream into a reality”? Whether you are looking to start a bricks and mortar business or your own website the questioning around your intentions is no different and although a lot of us try to remain positive, don’t beat yourself up when you have days where a little negativity creeps in, its how you handle that negativity which matters the most. For me personally, as a man approaching his 40s, I really enjoy reading about people who accomplished things late in life and have been surprised by some examples of success in the later adult years. Personally, these days I take a lot of positivity from the online world. Sure, when talking about the likes of Instagram it’s hard to avoid the – cliche, maybe even “cheesy”, motivational posts which hit your timeline every hour but surely this is a better way to start your day than reading through the abundance of fake news and false insights to the lives some people are leading on facebook. Don’t get me wrong, I’m not meaning to bad mouth facebook as I use it and enjoy it, however, I can see why the use of social media to some people can impact on mental health, especially if you are prone to comparing your life to others – PLEASE DONT DO THIS. I will admit that this is something I needed to address in my own life in my early adult years. I soon learnt that this sort of mindset would get me nowhere in life and it became clear that comparing my life to others was just pointless and a waste of energy. Something I do find inspiring and interesting is reading the success stories of others, especially those stories where an individual has struggled for a big chunk of his/her adult life and have found success well into their adult years. So… here are my favourite examples of people who have accomplished things late in life. I am a huge fan of this man. Since his early days on UK t.v bringing us the office, I have followed his TV career from the start and to this day find him a comedy genius. When I was first introduced to the office I can remember thinking it was a load of rubbish and if memory serves, I didn’t make it to the end of the 1st episode, however, it didn’t take long to become hooked with the quirky, awkward, unique hit series and to this day it remains one of my most streamed Netflix shows. . In his mid-30s Ricky was unheard of and working for a radio station – Xfm. after working in the office environment for many years he wrote was to become a total “monster” in the UK comedy world and went on to produce the American version of the hit show. Just recently, Netflix allegedly paid him around $40,000,000 to stream his new (hilarious), standup show – Humanity. The big bucks didn’t hit Ricky’s bank account until he hit 40 and serves as a lesson to all that its never too late to pursue your dream. At the age of 30, she had completed her manuscript of harry potter and the finished book was presented to 12 publishers, all of which rejected the opportunity to move forward with it. Around 1 year later there was a little glimmer of light as one London based publisher decided to take on the writer, along with the advice to get a normal job as her chances of making money as a writer were seen to be slim. J.K Rowling went on to become the worlds 1st billionaire author and only lost her billionaire status due to giving so much of her wealth away to charities. After an early adult life receiving state benefits and battling depression, JK Rowling is a true modern-day inspiration and I find it fascinating how nothing more than her imagination and passion has propelled her to the heights she is now at. Stan Lee was 38 years old when he released his first comic book “The Fantastic 4” he then went on to create the Marvel universe in which characters including Spider-man and iron man went on to become worldwide cult icons. Stans early career included time spent in the US army, however, his creativity and passion for writing seen him go on to greatness and as I write this, at the ripe age of 95 has just had a very brief cameo in Deadpool 2. This particular story of success at a late age probably surprised me the most as it feels like this powerhouse of movie world has been around forever. It wasn’t until his part as Jules in the brilliant pulp fiction, that he was catapulted to star status at age 46. Before playing the part of Bible preaching, gangster Jules, a character which was written specifically for him to play by Quentin Tarantino, he had featured in 29 movies. His love and obvious talent for acting have made him a household name and his movies have grossed billions. Massive respect to Sam. L. Jackson. If the rumours are true which state you have a clause in your movie contracts to allow you access to a golf course during filming then you have definitely won in life. (I will not mention snakes on a plane)………….. oops. Inspired, But Where To Start? Obviously, the examples of success above reflect big-time success and I’m not suggesting here that you go quit your job and start your acting career, however, if you do find yourself stuck in a rut with a burning desire to create something or go after a particular dream then whats stopping you? Sure we all live busy lives and it’s easy to say “I haven’t got the time” but at the end of the day it all comes down to how much you want it. For as long as I can remember its been my dream to make my own money, but what exactly does that mean? I couldn’t shake the feeling of being trapped in a daily cycle where I knew the only way for me to progress and climb the “corporate ladder” was to work more hours and take on more responsibility. I could see others working hard and achieving promotions but I could also see the strain many friends and colleagues were under and the extra money some were being paid for their time and effort didn’t seem to make much difference to them, as at the end of the day they simply cut their cloth to fit, meaning, their car payments were higher and mortgages were bigger etc. Now, I’m under no illusion here that we all need to work to live. That’s just life, but In 2018 I really do believe that the opportunities we have are more exciting than ever – if you choose to embrace it. Take this blog for example. what you are reading now could potentially make me some money and if you have a computer or laptop and access to the internet, you could also make money from writing about your passion, hobby or current business. Now, to be completely transparent, you are not reading the blog of a successful, wealthy entrepreneur. I am still very much at the beginning of my journey and still work in a part-time job, however, the path I am taking is giving me a lot of confidence and although I have bad days like everybody, I don’t dwell on them anymore and just keep moving forward doing the best I can and learning every day. In just over 3 months I have learnt so much about the online marketing world and I owe 100% of it to just ONE website/community. from starting off as a complete newbie in the “online money making world” I have gained a decent knowledge and understanding of the following. The list could go on as there are many little things I have picked up along the way which has helped my confidence grow in many different areas. The website/community I refer to has over 1 million active members all on the same sort of journey, as well as an abundance of training modules to sink your teeth into with step by step video tutorials which are beginner friendly. Something I can’t stand as someone who is quite new to this world is the number of dodgy programs and outright scams you are faced with when looking to make money online. Although there is some decent education you can gain from some products out there to help you make money online, so much of it is nothing more than over exaggerated sales rubbish. If you are serious about making money online you need to educate yourself properly and embrace the journey as it doesn’t happen overnight and takes time. If you would like to see for yourself the reasoning behind my enthusiasm for wealthy affiliate please take advantage of the FREE OFFER I can give you today. If you have come to this post and are yet to read up on what match betting actually is, I suggest you check out this post first. There are a few things I want to get straight when it comes to matched betting, as the last thing I want to do is put anyone in a sticky situation. Hopefully I can provide enough information to answer the question, is matched betting safe? My intention here is to simply give you some further advice on my own personal experience matched betting. although the process of matched betting is risk-free there are points to be acknowledged that can throw you off course quickly with this money-maker. so, on that note. Let’s crack on. With matched betting, you will be safely depositing money from your bank account to a bookmaker or exchange account to be used for placing bets. If your intention is to follow the process of matched betting and make a profit then the only direction your profit will go is up. However, if you get tempted to GAMBLE and try to earn bigger bucks then, in my opinion, you are walking on thin ice as you are no longer matched betting. The temptation will be lingering now and again for you to have a flutter, I do, however, I keep my punts (gambles) separate from my matched betting and limit myself to a small amount per week to have a bet with. I feel it would be wise to offer advice to anybody who has had a gambling problem in the past……..
Maybe best to stay clear of this opportunity. I mean no prejudice by saying that, however, I have witnessed people lose everything through gambling. People who were intelligent and successful were sucked into a gambling lifestyle and it got the better of them. I strongly advise that you get comfortable with the laying of bets and liability. Please take a look at this video tutorial on this as it can be a little tricky to get your head around at first. In any move, you make whilst matched betting there is always a chance you can make a mistake resulting in you messing up your chance of profit. In my opinion, it’s very hard to actually make a mistake when using the OddsMonkey software. A recent update to the software now includes integration of some exchange sites and direct links to the betting sites, which even automatically fills in your betting slip, all with one click from the Oddsmonkey software……. NICE. We have probably all become victim to a crashed p.c or dodgy internet connection. Usually, this isn’t a big problem if you are just watching Netflix or checking what Jimmy down the street is having for his tea on facebook. However, problems such as these could potentially cause you a headache when completing a matched betting transaction. As your confidence grows with the process of matched betting you may be looking to choose betting events where the betting markets can fluctuate quickly. Horse racing would be a key example, especially the closer you get to the race. With matched betting involving 2 separate transactions with different websites, you can appreciate there is a time factor involved. Personally, problems with my internet/laptop, as well as the human error factor, have never been a problem for me and I can say with confidence, if you are confident to navigate the internet and have email, the process of matched betting can be followed with relative ease. You will no doubt notice that when you sign up with an online betting company there will be a lot of terms and conditions attached to signing up, especially when you will be benefiting from a sign-up offer such as a free bet or matched deposit amount. recently I set up an account and placed my qualifying bet and lay to release my free (profit-making ) bet. Usually, your free bet will be credited as per the t&c’s stated upon sign up. This wasn’t a problem for me as I had the requested documents saved on my computer, so I simply emailed them across to the support address and within an hour my free bet was in the account. The reason I wanted to mention this was to add some further reassurance that this can happen and it’s really nothing to worry about. Sure it can be a little bit of a hassle so it’s worth considering saving some verification documents on your computer so you are ready to comply with a request to verify your account. Intentionally setting up multi accounts to maximise your profits with matched betting is a big NO NO with betting companies and if they suspect you are doing this they have the power to close your accounts and hold on to any profits made from multi-accounting. I consider organisation fundamental to the success of matched betting. Remember, you will be depositing funds from your bank to many different online betting accounts and betting exchanges so it’s easy to lose track where you are with your different transactions and profits. Be aware that when you are transferring funds from bookmaker accounts to your bank this process can sometimes take a couple of days to reach your bank, that’s why it’s important to keep track of your transactions so you don’t confuse yourself which may put you off matched betting. The OddsMonkey platform offers an integrated profit tracker and other spreadsheets for you to keep track on your account information and betting history. Although these added tools are great I created my own simple spreadsheet which factors in my bank account and betting accounts so I can keep track of where all my money is and can watch the profit growth in real time. If you would like me to send you this simple spreadsheet to use and modify if you wish, please sign up to my freebies list and I will happily send it to you. What Do Bookies Think About Matched Betting? From the research, I have carried out here’s how I see it. Matched betting does not remove the chance of bookies making money from you. My last 3 matched betting transactions all lost with the bookie and won with the exchange, therefore on each occasion the bookmakers I used to profit ended up profiting from me and my profit came from the exchange. Remember the exchange is where bettors exchange bets among themselves. This is why exchanges charge a commission on the transactions you make as this is how they make their money and offer the betting exchange service to the public. In short, I don’t believe bookies will be overjoyed matched betting exists but I don’t personally see it as a big problem for them either. My verdict – Fill your boots. First things first….. matched betting is NOT GAMBLING! This lead to a few hours doing my research and in this simple introduction to matched betting, I will attempt to address all of your doubts and concerns. Matched betting is a process in which you guarantee a profit by exploiting the free bets online bookmakers offer new and existing customers. As you may be well aware gambling in the UK is big business and its hard to avoid the number of advertisements banded around social media platforms this day and age. Matched betting is a simple process to follow, however, you need to be committed to following the process and staying focused to achieve good profits. In the image to the right, you can see the 2 sides to betting. The way in which you guarantee a profit with this system is by essentially involving yourself with both sides of the betting game. So… if you bet on Manchester United to win a game of football, you would cover this bet by also betting on them NOT to win. This essentially is the fundamental basics of matched betting. YES! Matched betting is 100% legal. Don’t feel I need to say more than that, to be honest. Is There Realy No Risk Of Losing Money? As this money making opportunity involves placing and laying bets you will need a float to start. The minimum recommended float is £50, however, if you have more funds available to use you can hit bigger profits faster. As you are covering your bet by laying it off with an exchange and providing you follow instruction it is not possible to lose a penny with this process, however, if you choose to have a few pints or glasses of wine and don’t check your odds match or bet on the wrong game, horse, tennis match, whatever, YES you could lose a few £££. In a nutshell, the process of matched betting is risk-free, not concentrating on what you are doing with each bet you place and lay could end up with a loss, so be careful and you cant lose. The process of matched betting would be very time consuming and complex if it were not for websites which provide you with everything you need to make tasty profits. In my honest opinion using a match betting tool such as Oddsmonkey, the process of matched betting is quite fun and very rewarding. Oddsmonkey provides training, video tutorials, profit trackers, an online community packed with others making money in this game. Everything you need to maximize this opportunity is available on this platform and you can set up an account for FREE. Matched betting certainly won’t be for everyone. If you consider yourself to be patient and know your way around your internet browser (google chrome, explorer, firefox etc) you may really enjoy this opportunity. People have made thousands in profit using this process and still to do to date, and remember, it’s all tax-free. Like all money making opportunities available in the online world, there are certain things I would personally like to make you aware of with this opportunity and will be uploading a video and additional blog on areas which will help you understand and maximise on your profit and overall matched betting experience. Personally, for me, I don’t see matched betting as an actual business opportunity. In the start for me matched betting was something to give me some extra disposable income, however, I did go on to make some sizable profits and today matched betting covers other online business costs that I have, such as paying for the building and hosting of the website you are on right now, (More on that here) and some extra pocket money. Matched betting is certainly worth a try and you can sign up for free with OddsMonkey here and complete the training and the first two profit-making guides at your own pace. 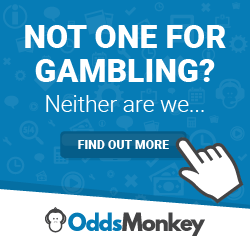 The premium option with OddsMonkey (£17.99 per month) is simply added value and cuts out all of the hassle and complexities of the world of matched betting. The video tutorials within OddsMonkey literally walk you through the process of each transaction resulting in only one thing……..
Not exactly the ultimate home office setup, however, I love this space. Evening all hope things are good. this is what I love about my current lifestyle choices. IT DOSNT FEEL LIKE WORK. Now, what is my perception of the word FREEDOM? I don’t see freedom as not having to work. I truly believe that if I won the lotto (say 3 mill +) it would mess me up. sure I would have some amazing experiences and live a dream for 6 months – but then what? In truth, I never believed it would be possible to make a living at home on my laptop. As I’ve mentioned I am nowhere near where I want to be but I do believe I will get there. The only person to blame if I don’t is me. The abundance of support and guidance online is amazing, and if you are prepared to embrace it and continue to learn (at your own pace) you will get somewhere. although I was working for someone I viewed it different to previous work I had done. It was perfect to run alongside my current work building my own business and this alone gave me a sense of freedom. Anyway, enough from me tonight. To be honest I have never liked the word entrepreneur. In my early adult years, my perception of an entrepreneur was of someone who was already rich and could afford to take risks in their working life. I don’t think that now. Hey everyone and welcome to my 1st ever Blog. Late 30s, married, 2 boys. I recently watched a video on YouTube of a very well-known successful entrepreneur talking about how lucky this generation is in regard to the opportunities we have. Something struck a chord with me there and the more I thought about this the more sense it made. Getting back to “what is an entrepreneur?” I now see this word in a very different light to how I did in my early adult years. Anyone in this day and age can become an entrepreneur. whether you manage a busy window cleaning service or a monster business employing 1000s of people, the entrepreneur label fits. Most entrepreneurs that I am familiar with have started off with little to no real capital. Speaking from my own personal experience I can honestly say I risked my marriage with the decision I made years ago to go solo and make my own money. As I have said the last few years have been challenging, however, even though I am nowhere near my own personal goals I certainly have no regrets whatsoever. My main goal with this site is to make a real difference to one person’s life. If I can get 1 email off one person, whether it is 3 months or 3 years from now stating how this site has pushed them in the direction of a happier successful life then, for me, I have achieved something special. If you have read this far on my blog then thanks for staying with me so far, I am signing off but not before I ask the following question. Do any of the following ring true to you??? Please check out my review of an online community which will really make you think. Take it easy people of the world.